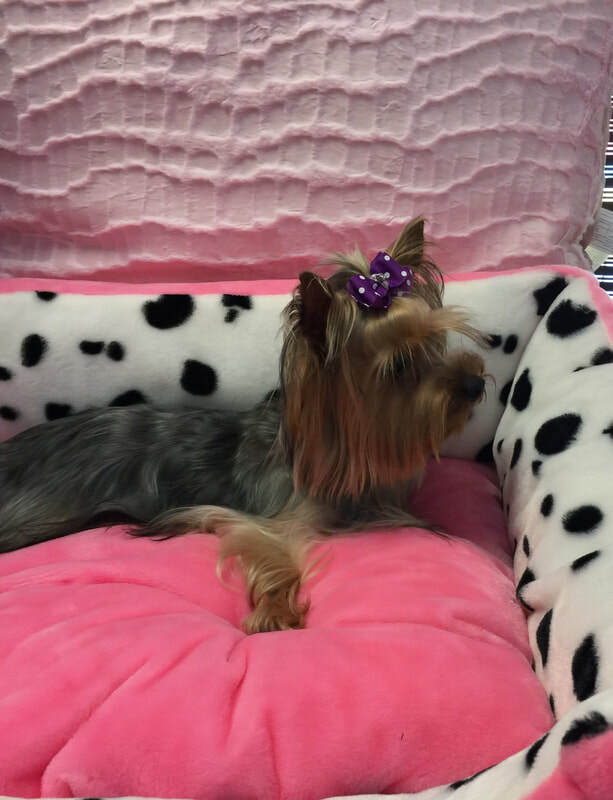 "This is Daddy's Girl "
Asia is our Beautiful Yorkie she has a few AKC champions in her back ground. She is APR, ACA registered. She weighs between 5-6 pounds but produces little babies. She has a very perky personality, She just had her first litter 2017. 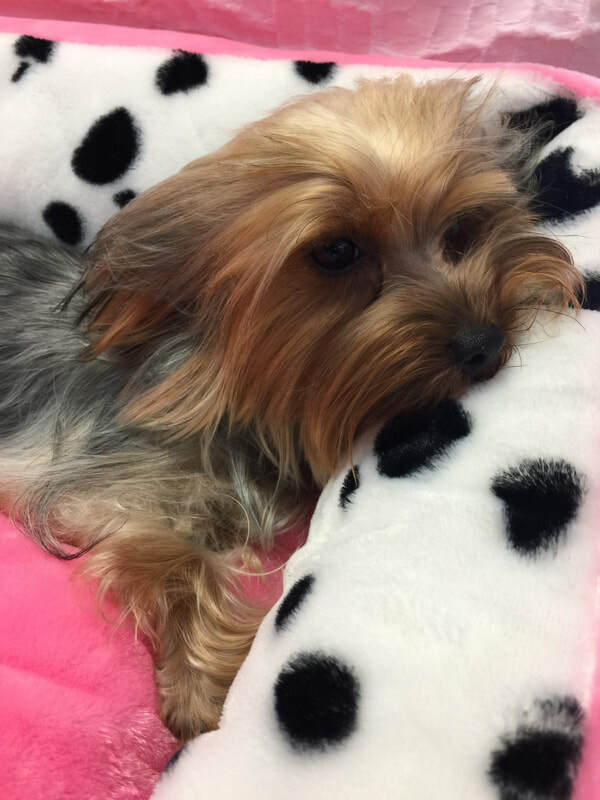 Paris is Our Petite AKC, ACA registered Yorkie that I kept from Feebie and Romeo's Last litter. She looks Just like her Mama and has the same laid back personality. She weighs 4 1/2#. She just had her first litter 2017. 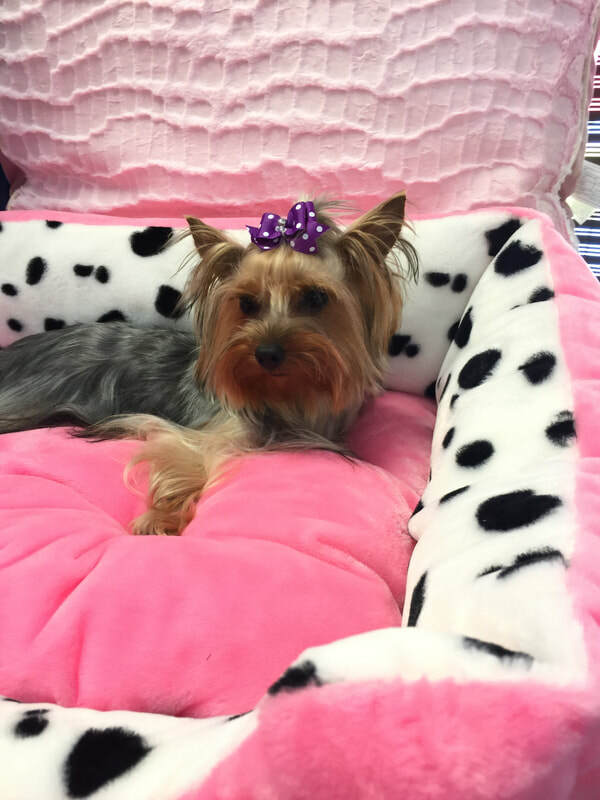 This is Italy our sweet heart Traditional 6# Yorkie Female. She throws Very tiny babies. Her and Asia look almost identical.